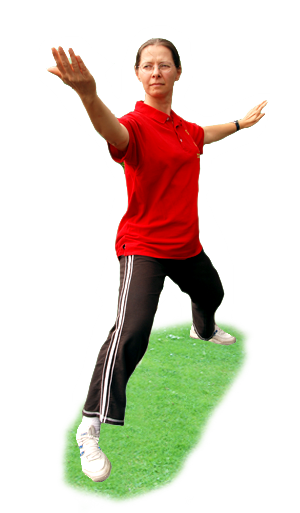 Tai Chi Chuan or Taijiquan, is widely known as an ancient health exercise but originally it was created as a means of self defence and was a powerful martial art skill. The original style of Taijiquan is Chen Taijiquan which was created by the Chen family. 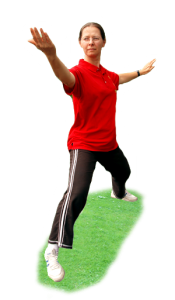 The Chen Taijiquan skill covers both external movement and internal training and is characterised by its unique spiral energy used to ‘throw’ an opponent away. To become good at Chen Taijiquan takes practice and must include push hands (Tui Shou) training. However, the benefits you get from the practice make the effort well worthwhile. In 16th century China there lived a man called Chen Wang Ting whose martial arts skill was such that it is said that he single handedly defeated one thousand bandits. He was of the ninth generation of the Chen Family, from Chenjiagou (Chen Village), Henan Province. After an adventurous life as a warrior, he returned to his village to develop his martial skills. 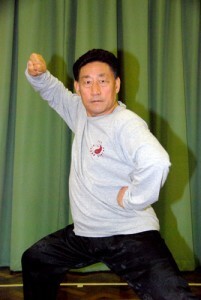 Combining movements from Qi Jigaung’s Long Fist and Daoist breathing techniques he created five forms of Taijiquan (Tai Chi) and Pao Chui (Cannon Fist). He is said to be the creator of the original Taijiquan. After five generations, Chen Taijiquan was passed to Chen Changxing. He taught Yang Luchan who later went on to create Yang Style Taijiquan. Later this developed into the other styles of Wu, Woo and Sun. Together with Chen, these comprise today’s five major styles of Taijiquan skill. Much of today’s Chen teachings can be attributed to Grandmaster ChenFake. He was responsible for spreading his family’s skill and his exploits are now legendary. In 1957 Chen Fake died and today the head of the Chen skill is Grandmaster Chen Xiao Wang, the grandson of Chen Fake. Grandmaster Chen Xiao Wang is one of the most famous Taiji masters living today. He began studying his family’s skill when he was just eight years old his Taiji skill and depth of knowledge is truly remarkable. 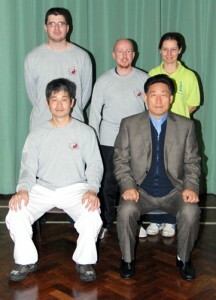 Master Michael Tse is a close student of Grandmaster Chen Xiao Wang. Having studied with Grandmaster Chen for many years he has in turn developed a high level of skill, not only in forms but Tui Shou – Pushing Hands. 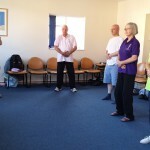 The 19, 25 and 38 movement forms are the beginning foundation forms taught in class. 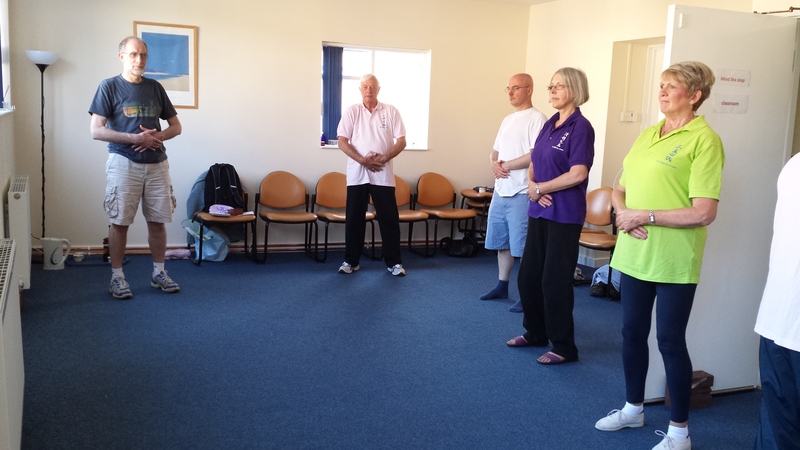 These will help to cover principles found in both the old and new frame forms and help us to learn to move from the waist and Dantian, develop relaxation and right posture. Please check the current class schedule. 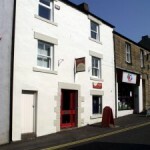 Hexham is located 30mins away (by car or train) from Newcastle upon Tyne. Download a class leaflet here. Beginners are welcome to join one or more classes at any time during the year. Classes are suitable for all levels of fitness. No special equipment is required, just comfortable clothing and footwear. If you have never attended a class, please arrive early for registration. 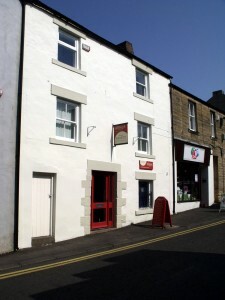 The Bodyworks Centre may be closed after 6:30pm. If this is the case, to gain access to the classes starting at 7:30pm please call and we will come and open the door.